Get set to smoulder with this full coverage, high-shine lip lacquer, available in an incredible 24 pigment-rich shades. From seductive nudes to bold berries, the luxurious formula is delivered on an hourglass-shaped applicator, which makes lining your lips effortless. Weightless and super-smooth, it grants a gorgeously glossy finish: you’ll be a guaranteed knockout. Purse-friendly yet high-performing, this is everything we love about NYX Professional Makeup. 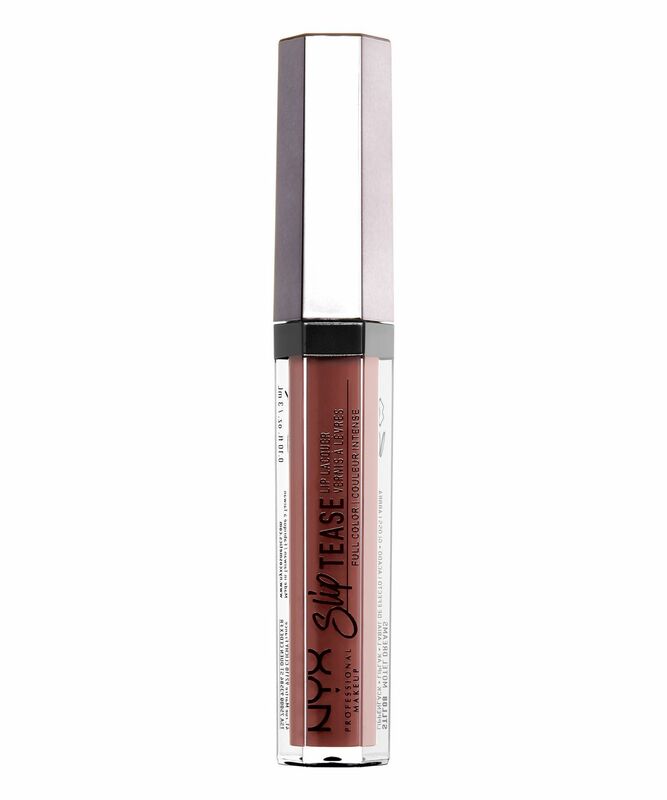 More than a little bit seductive, NYX Professional Makeup’s Slip Tease Full Color Lip Lacquer guarantees to turn heads. From seductive nudes to bold berries, the luxurious lippie is available in 24 pigment-rich shades, all of which are plush, rich and grant a high-shine finish. Featuring an hourglass-shaped applicator, slicking this on is a breeze – you can line and fill your lips effortlessly. The ultra-comfortable, super-smooth formula and vanilla-mint scent make this pretty much irresistible. As for the shades, we’re lusting after deep wine red ‘Spiced Spell’, muted pumpkin ‘Modern Soul’ and dark hot pink ‘Dream Escape’. I would recommend this if you want your lips to be seen. It’s very heavy feeling and an intense colour. A little menthol fragranced. Not for a natural look I’d say. I already have 3 shades. It's amazing.